This is the outfit that I wore for the photoshoot for Walter Magazine (you can read the full article here)! 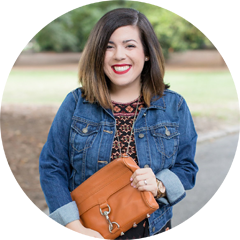 I felt like this outfit really shows what my style is during the cooler months. 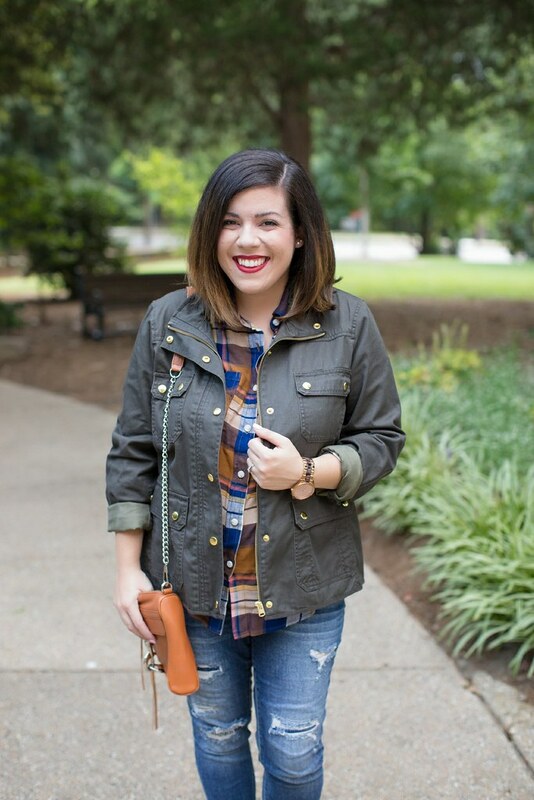 A military jacket which is a must for me, a plaid top, ankle boots, and my favorite Rebecca Minkoff bag. It’s an outfit that works well for many occasions, and it has layers which is definitely necessary for the fall and winter. Although, it isn’t too bulky since it’s rare that North Carolina weather is really cold. What kind of outfit describes your style? love this outfit, I wear a version of it all the time. Love it! I live in plaid in the fall / winter. And that jacket is too cute! I love the boots dear! This look is gorgeous! 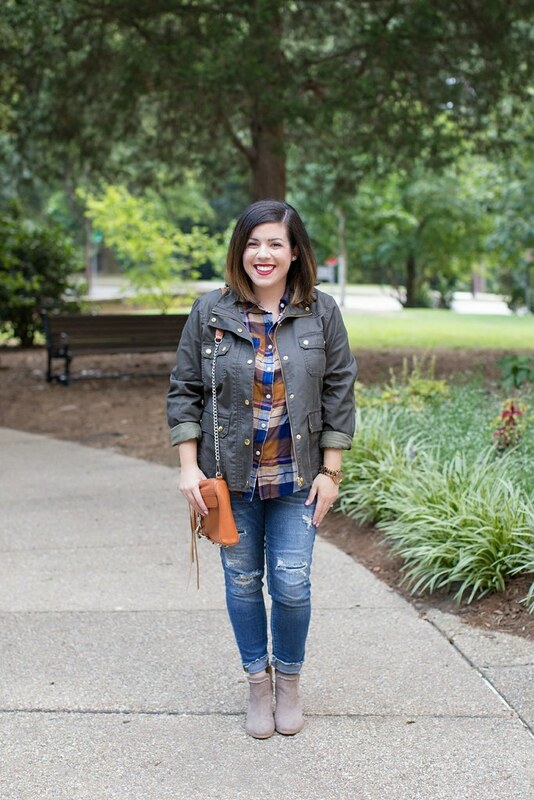 Plaid is definitely a fall essential, and those booties are so cute – it must be nice to live someplace where the winters are mild enough to wear boots without socks. The colors on your plaid shirt are so complimentary to your skin color. Fab as always! So cute, lady. 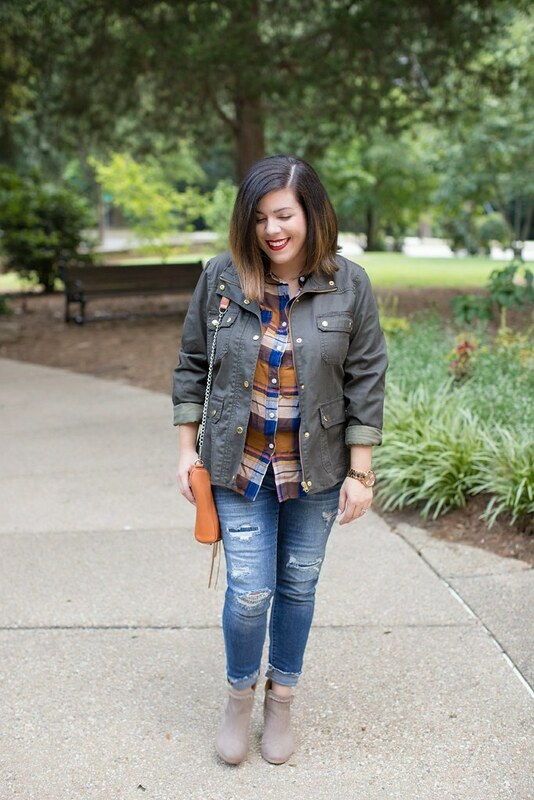 I love the bright plaid under that killer field jacket! Love this! My fave look is a longer tunic top with skinny jeans and ankle boots. In the winter I throw on a faux fur coat and a hat and that is it! This outfit is too cute and I love your hair! This look is perfection! 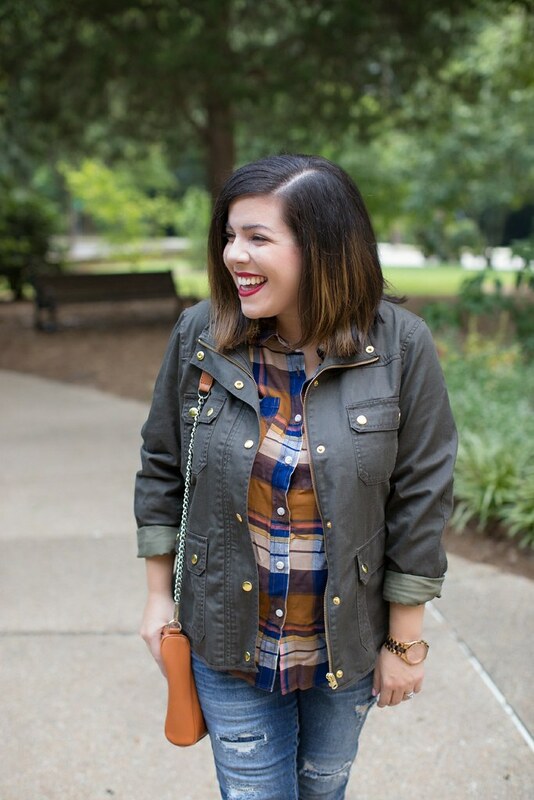 I love the plaid and utility jacket! Also those booties are adorable! Love this look! That plaid is different from anything I own. I need it! 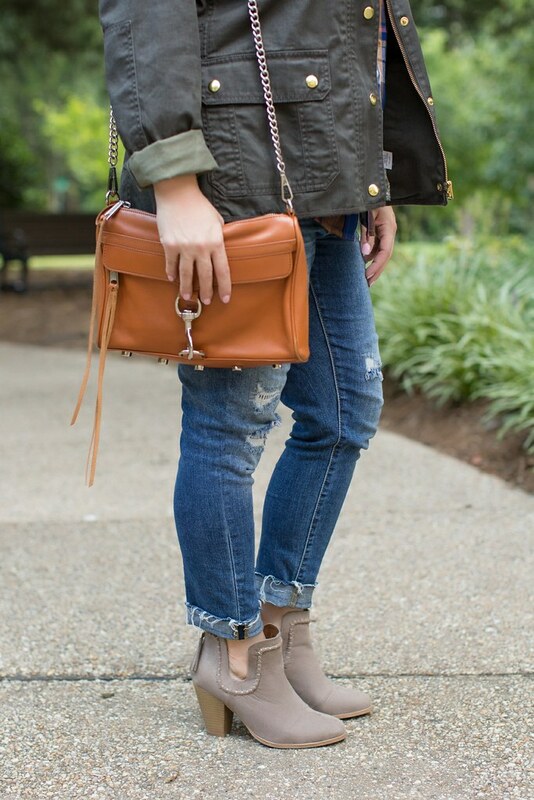 I am loving those cut out booties! I have a military vest, but I want a jacket for when it's colder.